NAS 效能測試紀錄 - 網路相關討論 - PALMisLIFE 討論區 - Powered by Discuz! 詳細說明：Prepare Your NAS File Transfer Performance Test with Mac OSX Client. File transfer performance on QNAP TS-119PII with Mac OSX via Samba. File transfer performance on QNAP TS-119PII with Mac OSX via NFS. 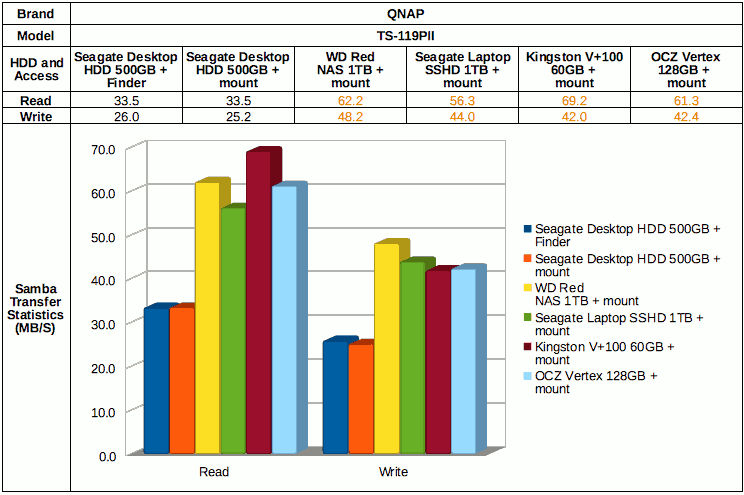 詳細說明：QNAP TS-119PII with Mac OSX File Transfer Performance Report. File transfer performance on Thecus W5000 with Mac OSX via Samba. 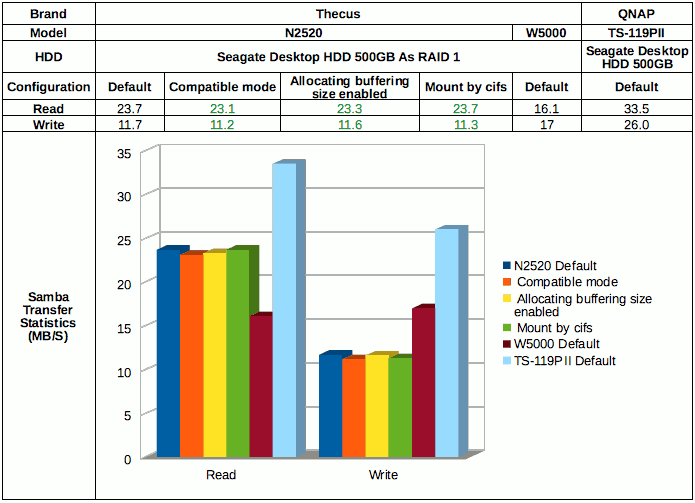 File transfer performance on Thecus W5000 with Mac OSX via NFS. 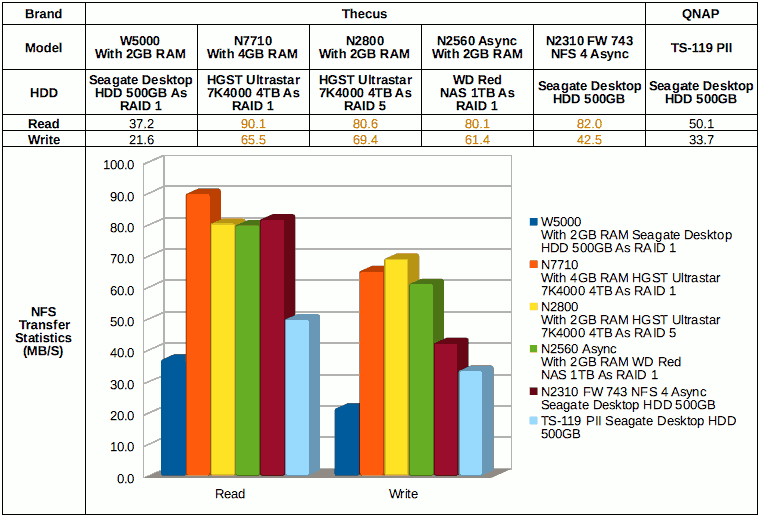 Informal file transfer performance on Thecus W5000. 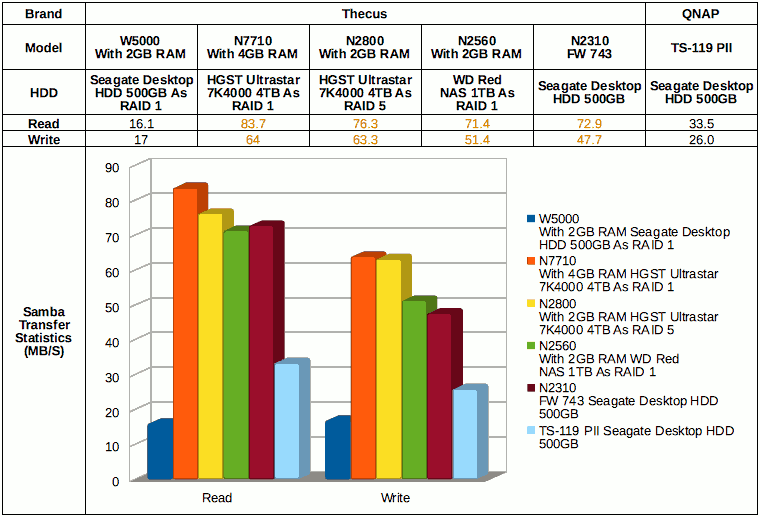 詳細說明：Thecus W5000 with Mac OSX File Transfer Performance Report. 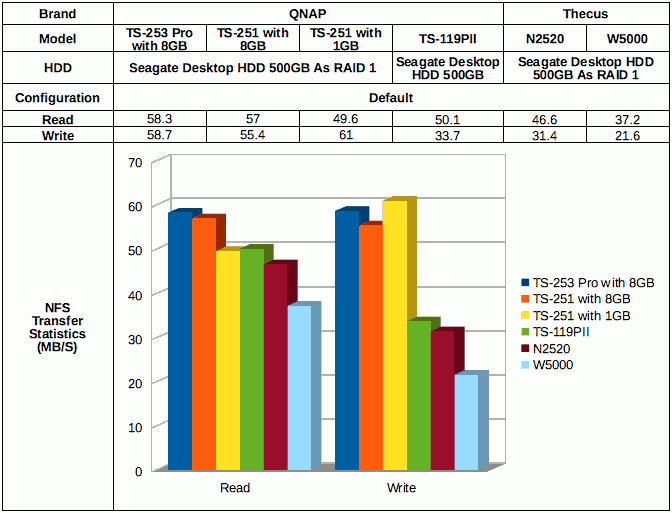 Wireless file transfer performance on Thecus W5000 and QNAP TS-119PII via Samba and NFS..
詳細說明：Thecus W5000 and QNAP TS-119PII with Mac OSX Wireless File Transfer Performance Report. File transfer performance on Thecus N25200 with Mac OSX via Samba. File transfer performance on Thecus N2520 with Mac OSX via NFS. 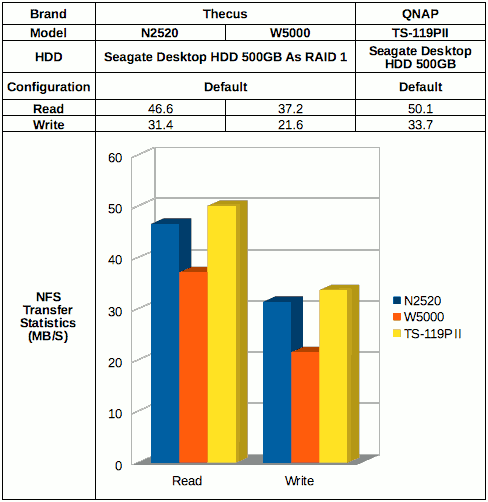 詳細說明：Thecus N2520 with Mac OSX File Transfer Performance Report. File transfer performance on Asustor AS-602T with Mac OSX via Samba. 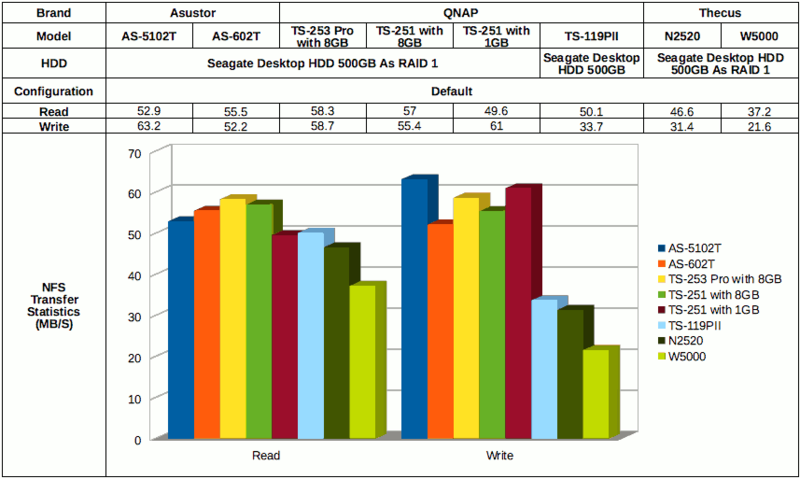 File transfer performance on Asustor AS-602T with Mac OSX via NFS. 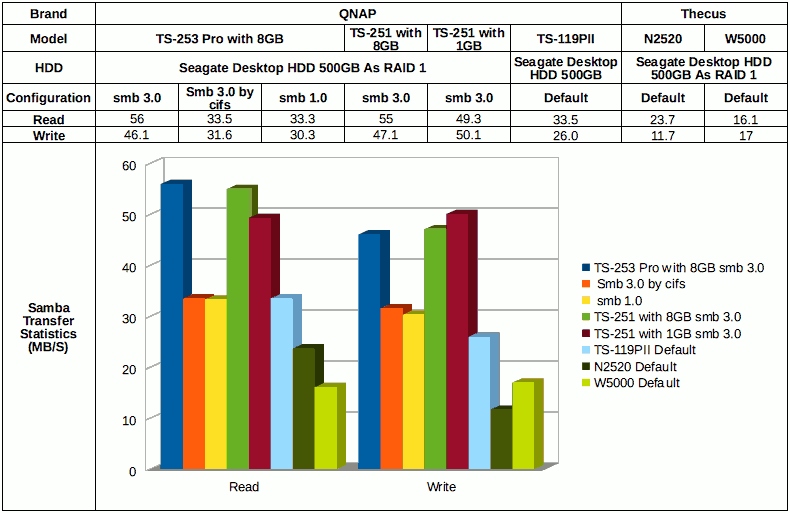 File transfer performance on QNAP Ts-253 Pro with Mac OSX via Samba. 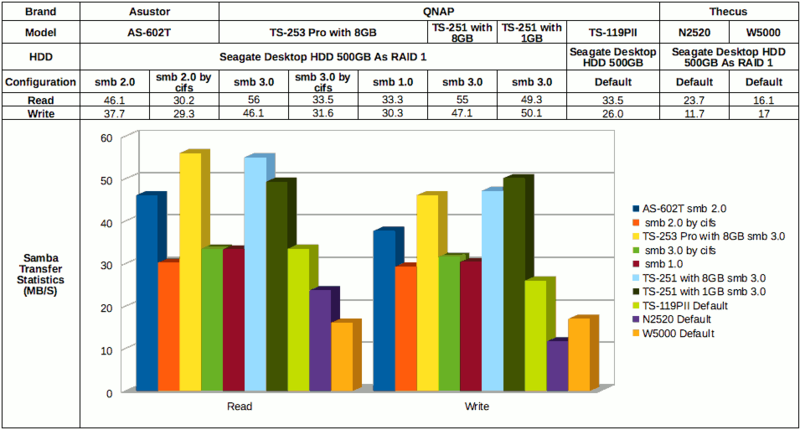 File transfer performance on QNAP Ts-253 Pro with Mac OSX via NFS. 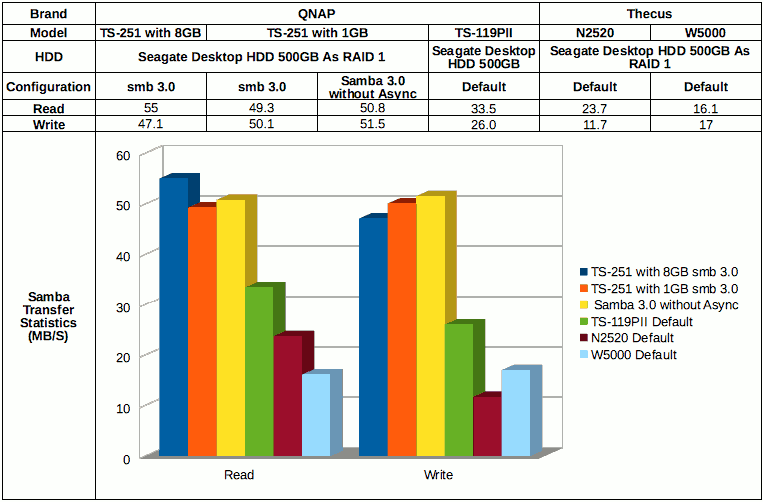 File transfer performance on QNAP TS-251 with Mac OSX via Samba. File transfer performance on QNAP TS-251 with Mac OSX via NFS. 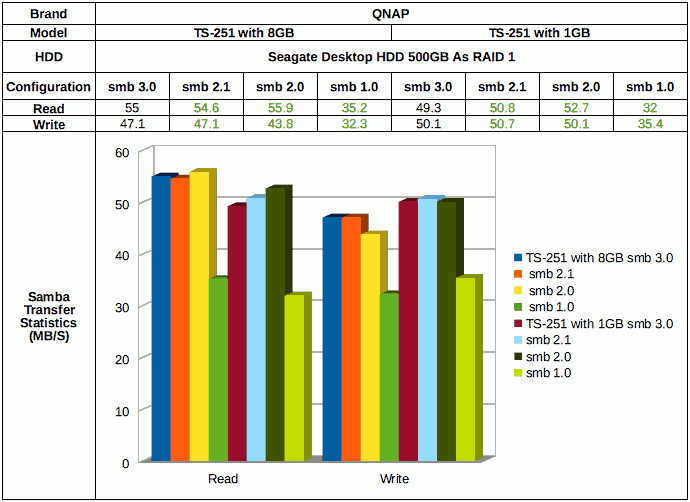 File transfer performance on QNAP TS-251 with Mac OSX via Samba with different smb. File transfer performance on Asustor AS-5102T with Mac OSX via Samba. 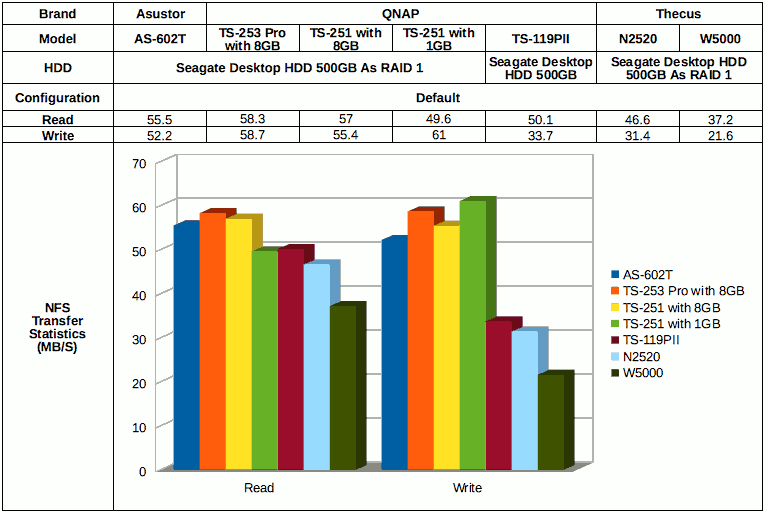 File transfer performance on Asustor AS-5102T with Mac OSX via NFS. GMT+8, 2019-4-24 08:01 , Processed in 0.057021 second(s), 34 queries , Gzip On.